I'm totally in love with a new store (and no, I'm not being compensated in any way). I think it might be an addiction. 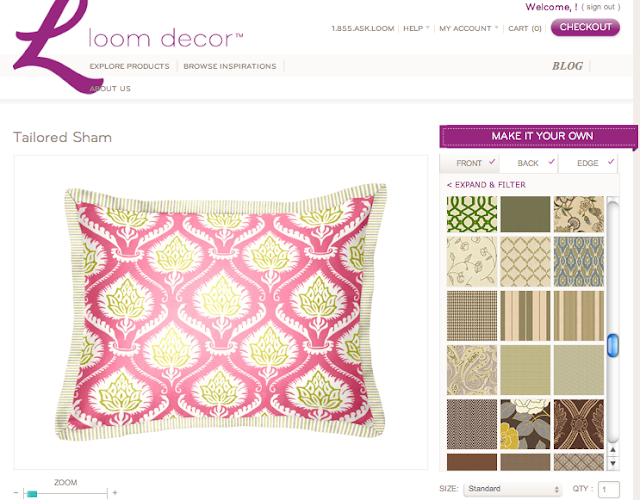 Loom Decor lets you customize pillows, shams, bedskirts, duvet covers, curtains, pretty much all the things I've been wanted to add to our house to "finish" the space. Just a little something that I'd love to add to our daughter's room. I like your choice. It will look great! Thanks for the introduction! The pillow you picked looks great! Wishing you and your family a lovely Easter celebration, Jessica! I love the whole sound of this store..wow! !